Asbestos was used in many homes built during the 20th century. Up until the 1970s, asbestos was used in a variety of construction materials, including roofing tiles. Typically, asbestos was used because it had a long life and strength, and it was also a fire retardant. Asbestos is toxic, especially if breathed in during remodeling or cutting through asbestos materials. If remodeling a home, it is important to recognize the types of tiles which contain asbestos. Transite roofing tiles were one of the most common roofing tiles used on homes. The tiles were made of a combination of Portland cement and asbestos. Usually, these roofing tiles contained only around 30 percent asbestos material The reason that asbestos was used in Transite roofing is that asbestos is fire resistant and rot resistant. It was estimated that these types of roofing tiles could last around 100 years. Serpentine White Chrysotile Asbestos (cement roofing tiles) is found in nearly 95 percent of the buildings throughout the United States. This type of asbestos was very flexible and acted like fabric in the way it could be both spun and woven. Generally, Chrysotile is most often seen in sheds, garages or even warehouses. The woven fibers of Chrysotile could be mixed with cement to create cement roof tiles. The material could also be used in ceilings, flooring and walls. Roof felt shingles/tiles were used in building for over 80 years. Generally, they were used on homes. Asbestos was woven into roofing felt tiles to make the material stronger and more resident to tearing. Asbestos also reduced corrosion and was fire retardant. Chyrsotile was also present in felt roofing tiles due to its ability to be woven. These types of roofing tiles generally contained between 10 to 15 percent asbestos. 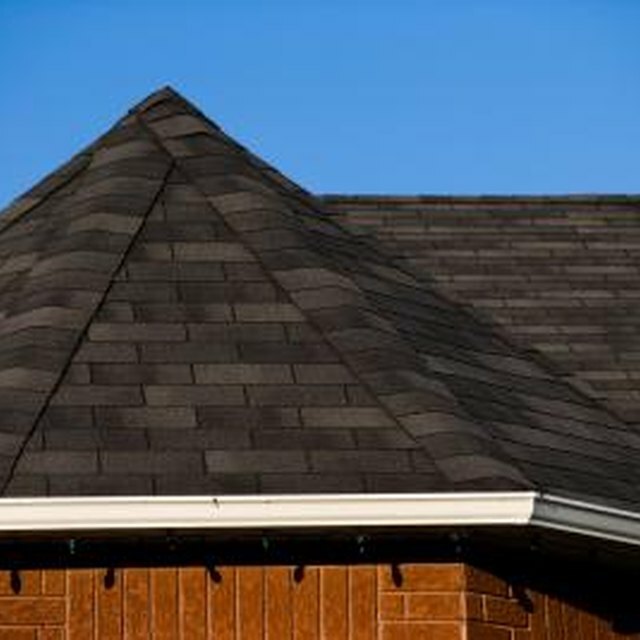 Many current homes still have roofing felt shingles and care should be taken when removing it. A contractor may be necessary. What Are the Dangers of Asbestos Floor Tiles? How Does Chrysotile Get on the Body From Broken Floor Tiles?